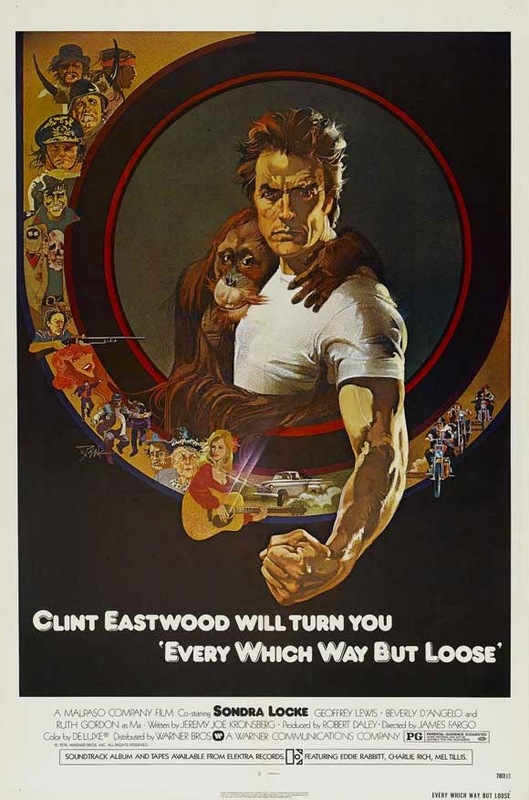 In this week's episode, the gang gets in a bar brawl with Clint Eastwood and Clyde the Orangutan in the bare knuckle action flick, Every Which Way But Loose! How is Eastwood getting this ape into all these restaurants? Why does Beverly D'Angelo so easily agree to get in this creep's truck? And who on Earth asked for that much Ruth Gordon? PLUS: Eastwood's blood is boiling. 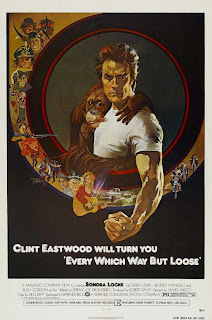 Every Which Way But Loose stars Clint Eastwood, Sondra Locke, Geoffrey Lewis, Beverly D'Angelo, Ruth Gordon and Manis the Orangutan as Clyde the Orangutan; directed by James Fargo. This is part one of a two-part podcrawl! Be sure to check out part two on Any Which Way You Can as discussed by the guys at The Flop House! Fan-TASTIC. You guys and the Flop House are the only two bad movies casts I listen to, so I'm very excited about this podcrawl. That biker actually was in Star Trek 2- he's named Judson Scott. "You can't put earnings via drug dealing on a w2", amusingly enough you actually can.